Cheap 2 Tone Putty W/Glitter - 12 Ct. Create a factory of fun in your own home with some Glitter putty. This light weight material can be molded into any shape and bounced like a ball. Keep the kids entertained for hours with this novelty toy favorite. These also make great Easter party favors or easter basket fillers. Trying to find the right party favor or carnival redemption prize? Then look no further than slime or putty. 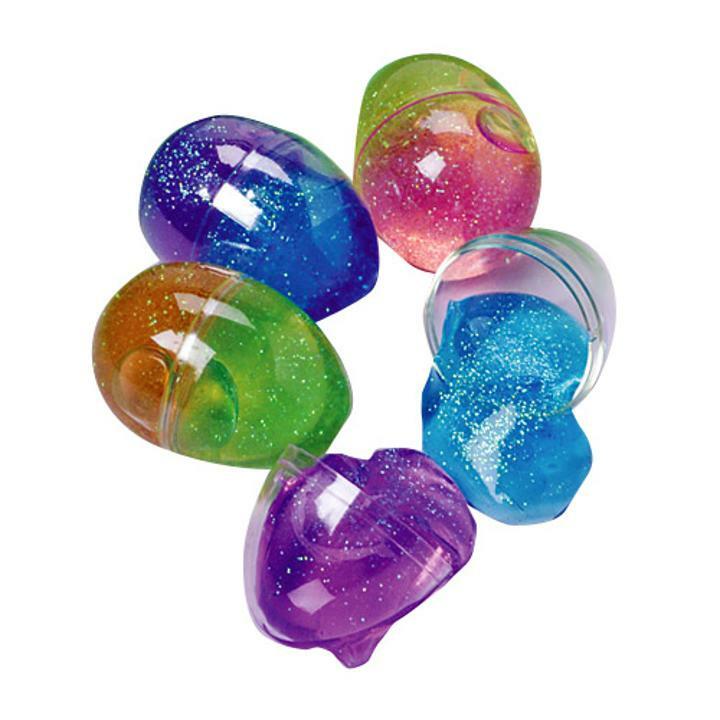 Kids of all ages love to play with these sticky, stretchy, slimy and gooey toys. The gross factor of slime is always a crowd pleasing favorite at any Halloween party. So stock up on some slime or putty today. We have a wide selection for any party theme. L: 7.55 in. W: 2.2 in. H: 8.8 in.